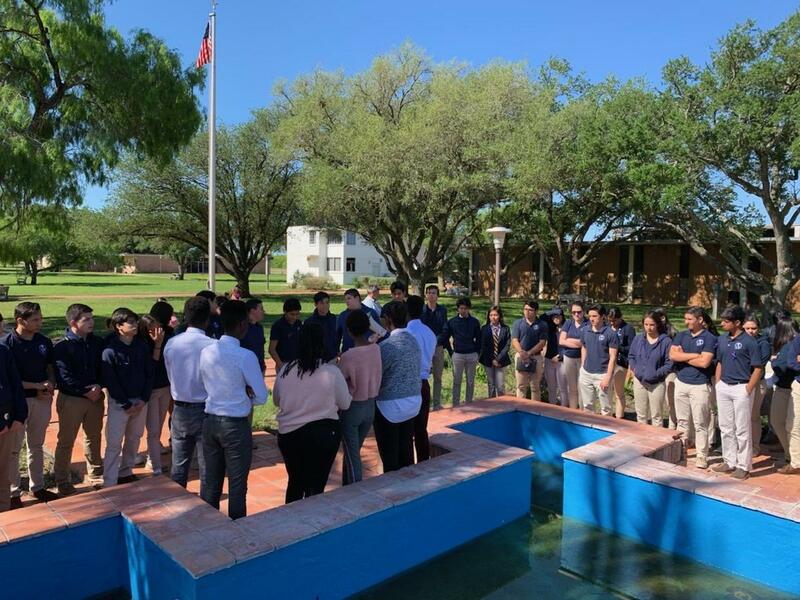 This morning Pan Am students and staff gathered at the flag pole with their Rwandan classmates, wearing purple ribbons, in remembrance of the 25th anniversary of the genocide against the Tutsi (April 7, 1994). 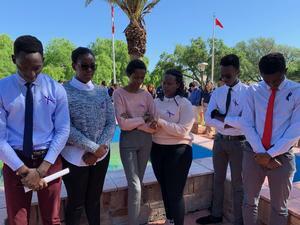 We prayed for the millions of people affected by the violence and gave thanks for the remarkable progress Rwanda has made as a nation since that dark time. 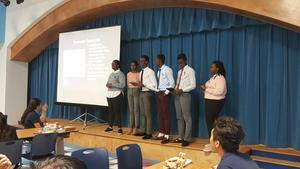 Then, over lunch, six of our students shared a presentation with the student. We are grateful for our Rwandan students and their leadership on campus.